Choosing the right estate plan is one of the most important decisions a person can make, and one that will have long-term repercussions for surviving family members. Probate is a legal proceeding to finalize someone’s affairs after their death. 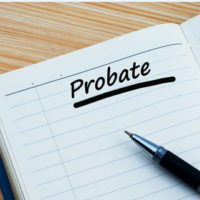 The purpose of a probate proceeding is for the court to identify the applicable Will and the beneficiaries, or the beneficiaries set by law if there is no Will, and appoint an executor or Personal Representative, who is then empowered by the court to marshall and liquidate the decedent’s assets, file tax returns, and pay taxes, identify and pay outstanding creditors and then to properly account for and distribute the remaining assets according to the Will or statute. The entire process is court-supervised. In addition, the probate court may be called upon to determine the validity of a Will in the event of allegations of lack of testamentary capacity or duress, and to resolve disputes among potential heirs. There are many moving parts to probate. Many Floridians will find themselves dealing with this system of asset distribution, so understanding the basic structure and types of probate that exist should assist those investigating various estate plan options. While many people die with no estate plan or with just a basic Will, this does not mean probate is necessary. In order for probate to occur, the deceased must have owned assets subject to probate, typically real estate or financial accounts solely owned by or payable to the deceased. Thus, jointly-owned property, such as real estate and bank accounts, will continue to be owned by the surviving joint owner. This arrangement is common among married couples. Also, property with a designated beneficiary, such as a bank account or retirement account, will pass directly to the designated beneficiary without the need for court involvement. Property that is subject to probate can only be transferred to the designated heir through the a probate proceeding. One benefit of a probate proceeding, if handled correctly, is that once the process is completed and the probate estate is closed, unknown creditors are forever barred. Florida has two types of probate administration: formal and summary. Formal administration is the regular probate process, and the one most commonly used. Summary administration is available when the deceased’s probate estate is worth $75,000 or less and all debts are settled or the creditors do not object. However, the heirs remain liable to potential creditors for two years after the date of death, so an attorney should be consulted before this option is initiated. Formal administration, or the full probate process, starts with the appointment of a personal representative by the court. This person is often named as executor in the Will, or petitions the court for appointment as an interested party, such as a spouse or child. Probate proceedings usually occur in the county where the deceased was most recently living, and officially begin when the court issues the Letters of Administration, which grants the personal representative authority to settle the estate. Settling the estate involves identifying and gathering all probate property, selling any property necessary to pay off creditors and any unpaid taxes, and distributing the remaining assets to the heirs. The process typically takes six months to one year, and the length of time principally depends on the type of assets that need to be liquidated and if there is litigation related to the estate. Handling the estate of close family member or friend is a daunting task that needs an experienced estate planning attorney to advise on the myriad legal requirements imposed by Florida law. William Rambaum, a Board Certified specialist in Elder Law, understands how overwhelming this process can be, and works to streamline probate administration so it is as efficient as possible. Located in Oldsmar and serving the Clearwater area, contact William Rambaum today to schedule an appointment.